From the IGFA’s founding in 1939 to his resignation as President in 1961, Michael Lerner was the heart and soul of the IGFA. Without Michael Lerner’s energy, vision, financial capacity and angling reputation, the IGFA would never have been formed on the eve of World War II. No other individual would put forth a claim even as co-founder. All of the original parties involved deferred to Lerner throughout their tenure and always knew him to be the driving force behind the organization. 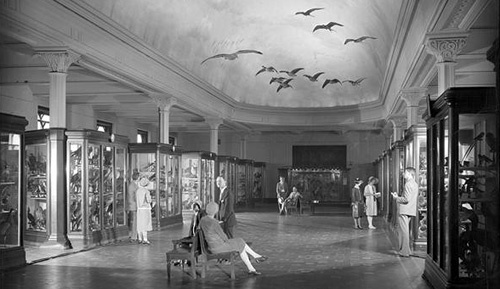 The inaugural meeting of the International Game Fish Association took place on June 7, 1939, in a cramped upstairs office at the American Museum of Natural History. In attendance were William K. Gregory, Museum ichthyologists Francesca “Frannie” LaMonte and John Nichols, author Van Campen Heilner, and Lerner. At Lerner’s insistence, Gregory was elected IGFA’s first President with Lerner accepting a Vice Presidency and Frannie LaMonte assuming the role of Secretary. An Executive Committee of Lerner, Gregory, Heilner, and LaMonte was also created, and this group would form the IGFA’s nucleus throughout its early years. With the formalities resolved, Lerner announced that he would personally underwrite all expenses of the new organization, a level of support he would continue to maintain until his resignation as IGFA President in 1961. Despite the news of war from overseas, Lerner must have felt a thrill of anticipation as the International Game Fish Association opened for business. With staffing and finances already in place as a result of its inaugural meeting, the IGFA then had to decide what to do. The needs were legion: create a portfolio of standardized angling rules along with a rigorous ethical credo, develop a network of representatives to promulgate IGFA principles in distant lands and, not least, find a place to work. This last need was generously met by the American Museum of Natural History when it agreed to house the new organization in Museum offices.